From mid April to mid May Nice N Green provides spring clean up services for your lawn. Doing a spring clean up is important to having your lawn and landscaping looking great all summer long as we also do Fall Clean up, Leaf Clean Up, Leaf Removal and much more as per your needs. What's Inclueded in my Spring Clean Up? 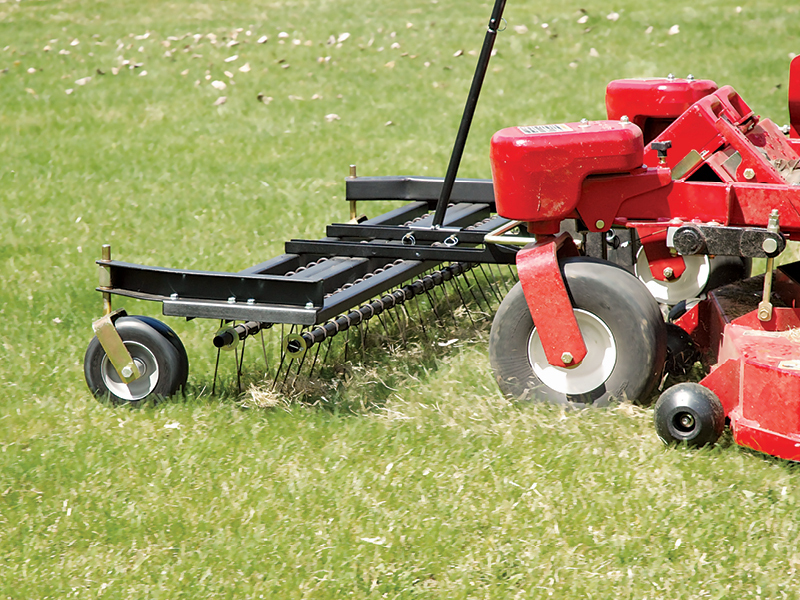 Getting the thatch out of your lawn will help your lawn absorb water and sunlight. If your lawn has to much thatch the water will sit on top and evaporate during the day. Putting a strait edge on your driveway and sidewalks will give your lawn a clean and tidy appearance. Not edging will allow the lawn to grow over onto the pavements. Getting the mojority of the dead material out of your garden beds will give you a clean start for the season. Although have some decaying material in your garden beds is good, but haveing to much will make a garden look messy.